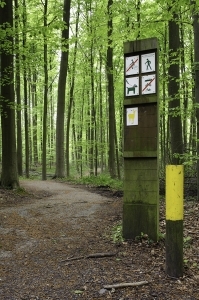 There are three marked trails in the Hallerbos. 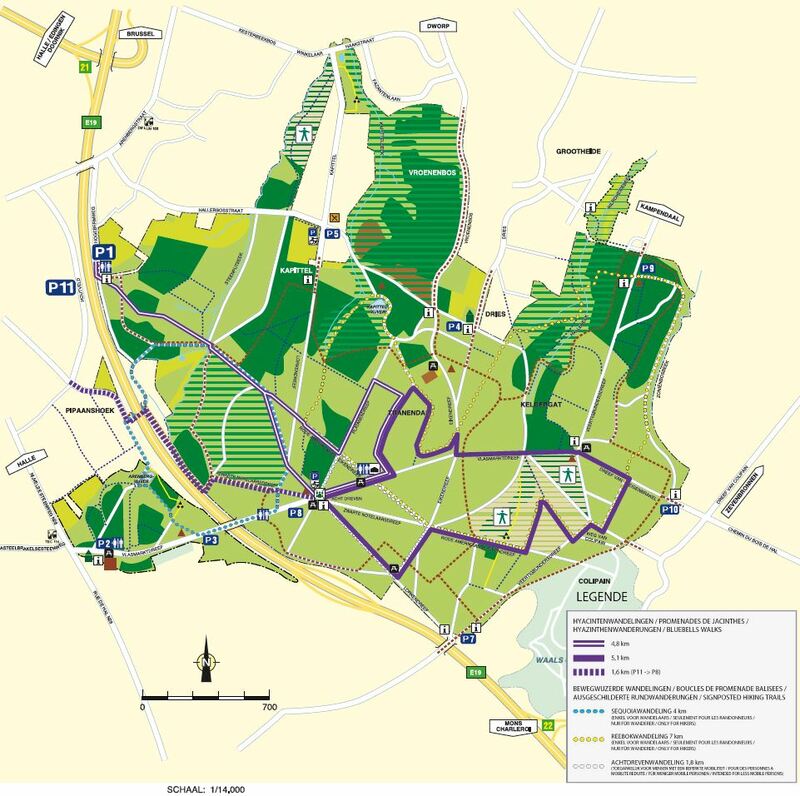 Start at the “Achtdreven” – 1.8 km – for visitors with limited mobility – white/black marked poles. The trail is suitable for wheelchairs. At regular intervals there are benches and picnic tables. Start at the car park between the bridge over the R0 and the “Achtdreven” – 4 km – blue poles. On this walk you will discover the conifers in the Hallerbos, the giant Sequoia trees. Start at the hunting lodge – 7 km – yellow posts. An adventurous walk. You walk along three of the four valleys in the Hallerbos. • There will be 2 marked Bluebell Walks in the Woods (from April 14th). • The “Achtdreven” walk is on the central plateau of the forest and in the middle of the bluebells area. • Slightly over half of the roebuck walk passes through the bluebell area. Start at the “Achtdreven”, walk along the “Lorkendreef” (in the direction of P7), to the left of the information board. There is a short part of the walk through conifer forest without bluebells (green dotted line).